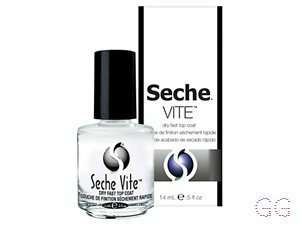 How many stars do you give Vite Dry Fast Top Coat by Seche? 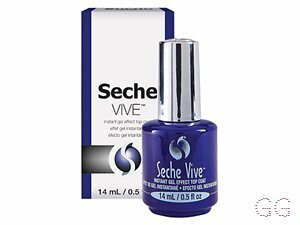 Seche Vite Dry Fast Top Coat is available to buy at Fabled, lookfantastic, HQhair.com, Feelunique, Boots.com, and Beauty Expert. I am in my mid 20's with oily, light tone skin and blue eyes. My hair is light brown, normal with normal texture. This does dry super quick which is great for an impatient girl like me. However , no matter how many costs of different brands of nail varnish I used they still chipped withij a day or two which is not better than other too costs I have used. So dissapointed as all the other reviews rate it so highly. I kept trying just in case but it's no good for me. Maybe I am too heavy handed! ✨I normally don’t get excited about nail products as I don’t hold a huge amount of interest, but I can honestly say this is an absolute game changer! I used 2 coats of Barry M Molten Metal nail varnish which seems to take forever to dry (I am impatient ) and whilst it was still tacky, applied 1 coat of this on top. My nails were literally dry within 30 seconds, with a lovely hard top long wearing shine to go with it! My varnish has not chipped once and you can reapply every 3 days to keep your polish in great condition. Guys - this is a MUST have product and you need to try it to believe it! Shelleyd83, Beautyviews and Lickle-Boo and 4 others like this. Love this stuff it's the best! Hands Down!! THE BEST NAIL TOP COAT!! I'm not surprised that this nail top coat has nothing lower than a 4 star review! This is the best! For years I tried cheaper alternatives, not wanting to spend so much money on a nail top coat. However I bit the bullet about two months ago, best thing I ever did! This makes all my nail polishes last so much longer, whether they are high end or drugstore. It dries my nails so quickly leaving them looking super glossy which I love. Doing my nails at home has now halved in time, from an hour to 30mins! 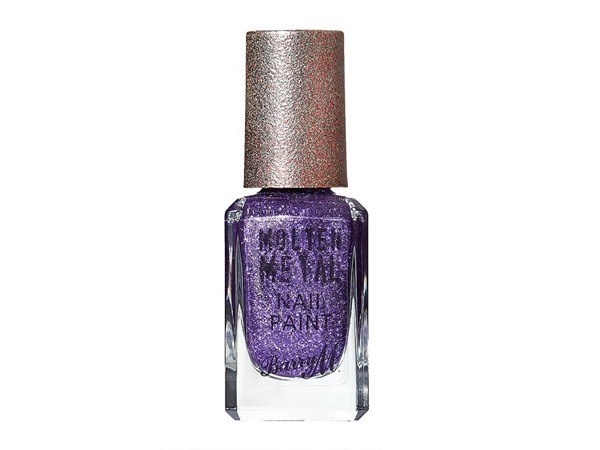 Try this, honestly any nail polish addict will love it! I am in my mid 20's with combination, fair tone skin and blue eyes. My hair is blonde, dry with fine texture. This is by far the very best top coat you can buy without using gel led! This is so shiny, dries ridiculously quick and it's nice and thick so not like water! And it barely chips if I didn't work were I did they wouldn't chip at all, so even if you used a cheap Polish it would last with this over it I'm in my 100th bottle love love love this!!! I have gone through 4 of these! It's the best top coat I've ever used. Dries so fast, keeps your nails looking great for ages. Does get gloopy towards the end though. I bought this about a month ago and heartbroken it's nearly gone! It's absolutely amazing, I usually use it if I'm using nail vinyls, it is absolutely perfect for doing nail art! It does exactly what it claims and I'm never looking back from this top coat!  I am in my late teens/early 20's with dry, fair tone skin and hazel eyes. My hair is dark brown, combination with fine texture. The best top coat to buy. It dries super fast, less than a minute and it gives a very gel like shine. One coat makes my manicure last longer than any other well known top coats. Best top coat you will find. This dries in seconds makes your nails look so shiny and gel like and helps prevent your polish from chipping. Easy to apply and makes your nail application look salon professional. This is my holy grail topcoat, I also use the seche conditioning treatments for my nails. Absolutely fabulous, my hands take a bashing being a horse rider and I have no chips at the end of the day! Gives a gorgeous gel look finish to the nails and has cut my nail varnishing time by more than half because I don't need to wait for my colour to dry before putting this on. I am in my late teens/early 20's with combination, olive tone skin and green eyes. My hair is dark brown, dry with normal texture. Having tried various other brands of top coat, this is one of the best. Gives amazing smooth gloss finish and is extremely quick drying. Also smooths any scratches or indents you might have in your varnish. Only drawback is its longevity. It will get thick and gloopy if not used within a reasonable amount of time. If you varnish nails a lot this wont be a problem. Definitely would recommend. I am in my mid 50's with dry, light tone skin and green eyes. My hair is blonde, dry with fine texture. 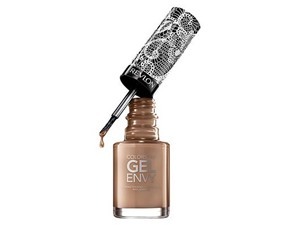 This is undoubtedly the best nail lacquer top coat. It beats all others I have tried. 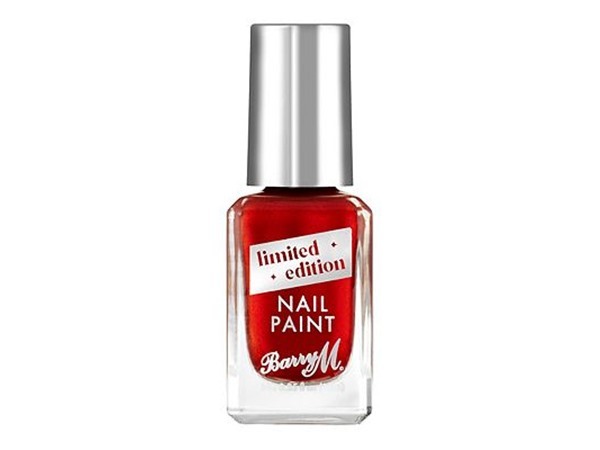 It makes nail varnish dry in a second preventing any smudges, making them smooth and ultra shiny! I am in my late 20's/early 30's with combination, fair tone skin and blue eyes. My hair is blonde, combination with normal texture.